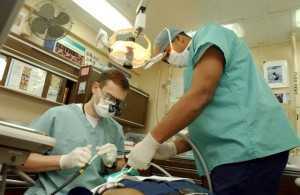 Most people have now heard something about dental holidays, where patients travel abroad to get cheaper treatment. One of the most popular destinations is Budapest, and many people are now opting to travel for dental treatment in Hungary. There are a number of companies that offer dental treatment in Hungary. One such company is Access Smile, who have clinics in Budapest and Dublin. The advantage of using a company like this is that they will work with patients to make the whole process as smooth as possible, from consultation to organising treatment, as well as helping to arrange hotels and transfers. Why travel for dental treatment in Hungary? Hungary is one of the most popular destinations for dental treatment, and many dentists there actually treat more British people than Hungarians! The capital, Budapest, is a great destination, full of history, and a wonderful place to spend a few days while having treatment. Take a walking tour to explore the architecture, enjoy the delicious Hungarian food or relax in one of the city’s hot springs. does the company offer any guarantee on their work? patients should check their legal rights, in case anything goes wrong. Patients are often surprised to find that some dental clinics in Hungary are more advanced and better equipped than those in the UK. With staff who speak perfect English and dentists who are fully qualified and experienced, with the right company, most patients are very satisfied with their dental treatment in Hungary.